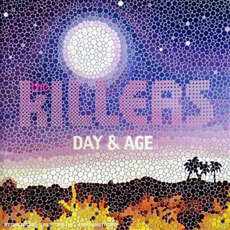 Sin City group The Killers have completed and released their fourth and newest album, Day & Age ($9). While the new record took a somewhat mellow approach compared to the the amped-up tracks in the Hot Fuss (2004) album like Mr. Brightside and Somebody Told Me, they still covered all bases and delivered plenty of rocking and stomping beats. The album features 10 tracks that centers around the progression of the band's style and sound including their first single, Human.